Grant Shapps is leading a group of MPs in urging the Prime Minister to make a final decision about airport expansion. The group of MPs also called for the expansion of regional airports “for the good of UK plc”. We have already reminded Grant Shapps of his visit and promises he brought with him, as well continuing to lobby parties concerned. The government must make an “urgent and immediate decision” on airport expansion in south-east England, a group of cross-party MPs have said. The British Infrastructure Group (BIG) report says a lack of runway capacity at Heathrow is causing “substantial damage to the industry as a whole”. Both Heathrow and Gatwick are bidding for an extra runway to be built. A Department for Transport spokesman said it was important to consider all the evidence before making a decision. Last month, the then transport secretary Patrick McLoughlin said a decision on expansion had been put back until “at least October” following the result of the EU referendum. 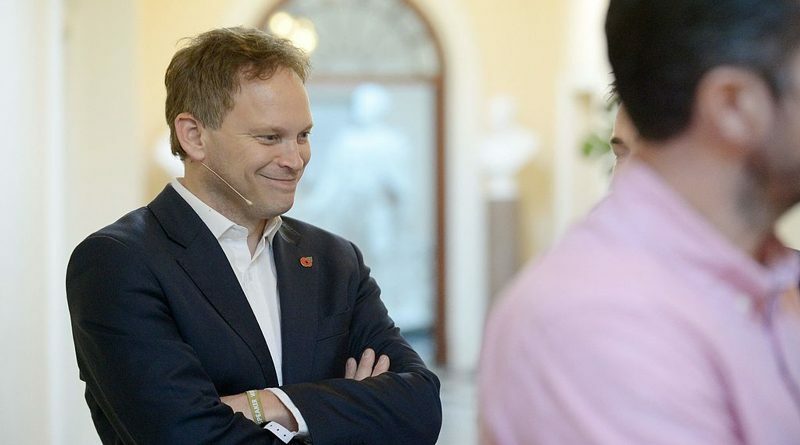 However, BIG – a Commons group led by the Conservative MP Grant Shapps – says a decision should be made immediately, adding that it would show new Prime Minister Theresa May’s “mettle”. It says it has gathered evidence from local and national authorities as well as academics about future airport capacity. The report’s recommendations state: “The problem of capacity at the current hub, Heathrow, is causing substantial damage to the industry as a whole. Last July, the independent Airport Commission recommended Heathrow be expanded with a third runway – a 3,500m strip north of the two existing ones – at an estimated cost of £18.6bn. But in December the government delayed its decision, saying further work on noise, pollution and compensation needed to be carried out. Then, last month, Gatwick said the UK’s Brexit vote showed it was “clearer than ever that only Gatwick can deliver the new runway Britain needs”. The group of MPs also called for the expansion of regional airports “for the good of UK plc”. “Only their expansion can address the coming ‘capacity crunch’ and deliver sustained growth, underlining the concepts of the Northern Powerhouse and the Midlands Engine and sharing the proceeds of growth across Britain,” the report says. BIG also calls for infrastructure at regional airports to be “joined up” and for airport passenger duty to be made “progressively lower”. Land for airports in this country as we know is in short supply, that’s why Heathrow and Gatwick have become such a sticky problem, and I’m sure at some point in time someone will make a decision. Manston has been overlooked and disregarded in recent times by shear short-sightedness of the future, except those in favour of a quick buck in a collection of unscrupulous pockets. Manston is a golden nugget not yet found, but yet so obvious. Why it’s an airport that is already there, It’s an airport that can take the biggest of planes, it’s an airport with a road link, it’s an airport with a rail link and It’s even an airport with a harbour nearby – What more could you ask for. But if the decision is to favour a bunch of poor quality, overpriced houses and a hundred year mortgage, then it’s a loss not just to the local area but a loss to the whole country. Once Manston is gone it’s gone. And so in future years when the country is looking for more airport space the sticky problem is going arise again, and again it’s going to take years for someone to make a decision. Keeping Manston as an airport has got to be good, not only for local economy now, but good for the future economy of the country as a whole – Think for the future now, not when it’s too late.